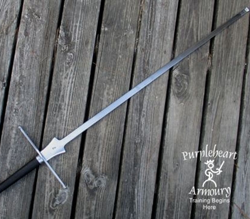 A Rudis was a gift to a gladiator for a special achievement. This signified his release from a slave to a freeman. Our Rudis is an excellent and unique give for someone who has completed service in the military, retired, or completed an academic achievement. If you are using Paypal! Paypal has instituted some new security measures, they will only allow a shipment to the address ON YOUR Paypal account. Even if you enter different address on your order, the Paypal address will automatically populate (at least we think so). PLEASE check your order confirmations carefully! We're fortunate to work with some of the best HEMA brands in the world. SPES is one of the large innovators and suppliers of HEMA safety products in the world. 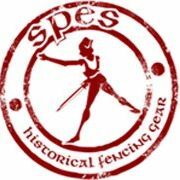 PBT has a long history of quality craftsmanship in the sport fencing world, and brings their expertise and tailoring to HEMA. Our Line of Imported items from VB (in from Hungary) is ever-growing!